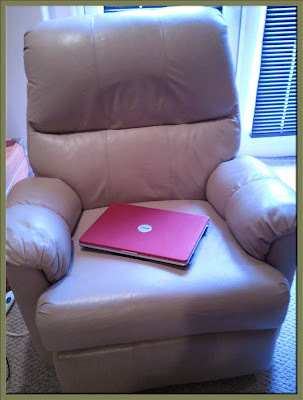 Scene of the Blog Featuring Dalene of A Date with a Book! This week we're going to visit a blog that's not even a year old yet. 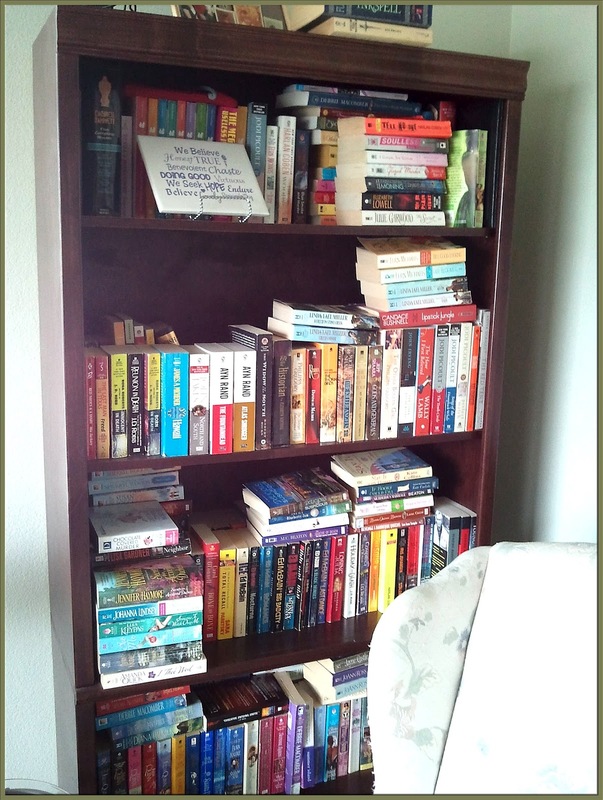 Dalene's an eclectic reader whose enthusiasm for books and reading shines through on her blog, A Date with a Book. She does such a good job of telling us about her blog that I'm not even going to try. But I will say this: if you haven't visited A Date with a Book yet, I certainly hope you take this opportunity to do so-- and please don't forget to say hello to Dalene while you're there! If you're visiting from Dalene's blog-- Welcome! I'm glad you came over to take a look at her book and blogging spaces. If you'd like to see any of the photos in larger sizes, all you have to do is click on them, and they'll open in a new window. For the larger photos, sometimes Blogger insists that you click on a photo one more time to see it in its largest size. (Gotta be difficult, don't ya know?) Once you've seen Dalene's creative spaces, you're more than welcome to take a look at those of previous participants. They run the gamut from converted garages to the subway, to kitchen counters, and a bed or two. Click on the Scene of the Blog tab at the very top of my header. There are two ways to search: by Blog Name or by Location. Now, let's go visit Dalene! Thanks Cathy for the opportunity to be featured on Scene of the Blog! My blog is about 9 months old, beginning December 15th, 2011 with my first post, but really being dedicated January 1, 2012. At that point I decided to delve into all of the memes, a few challenges, Facebook (was not on it before) and Twitter. It's been a lot of fun and overwhelming at times. I just constantly remind myself this is something I wanted to do and so I adjust the schedule how I want. Can't get enough of BOOKS! I am very much an eclectic reader reading genres from romance to mystery to young adult to paranormal. I'm constantly all over the place. I will get in the mode of cozy mysteries and then within a few weeks find myself wanting to read a good and sometimes raunchy romance. I pretty much have ADD when it comes to reading. 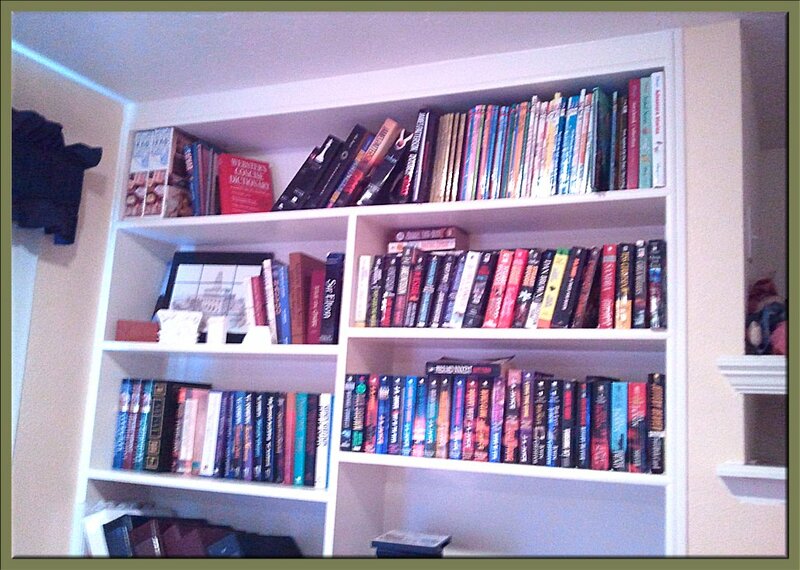 Here are my bookshelves I have at home. 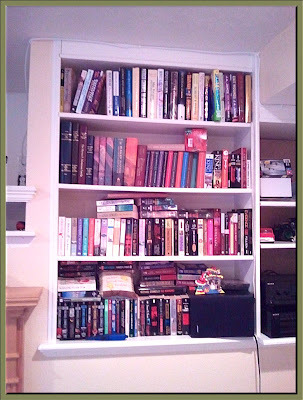 These are all, with the exception of a few, books that I have not read. I am not a person who keeps books to re-read. Very few will I actually keep to pass on or think I might re-read in several years in the future. And since I got a Kindle almost four years ago, I have many, many books on there I still have yet to read. Books and reading are definitely my addiction. 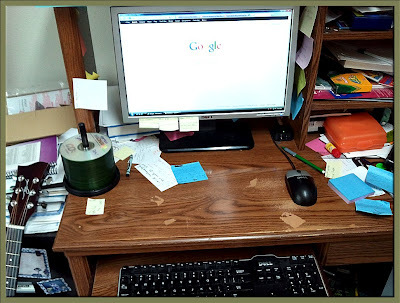 I participate in the blogging community from my computers at home. Either on the desktop or the laptop in the La Z Boy downstairs. This pretty much depends on which computer is available. My daughter and husband enjoy the computer just as much, and sometimes I have to yell to get them to move and let me have a turn. If you ask them, I am totally obsessed, and they have learned not to interfere with the Reading Queen! Ah, the bliss of not sharing a computer! I don't envy you a bit, Dalene, although I will admit that I'd love to take a good look through all those books of yours! Thank you so much for spending this time with us. 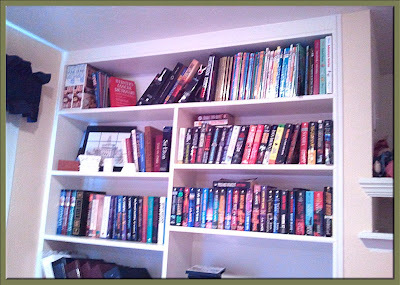 We certainly appreciate this glimpse into your world of books and blogging! 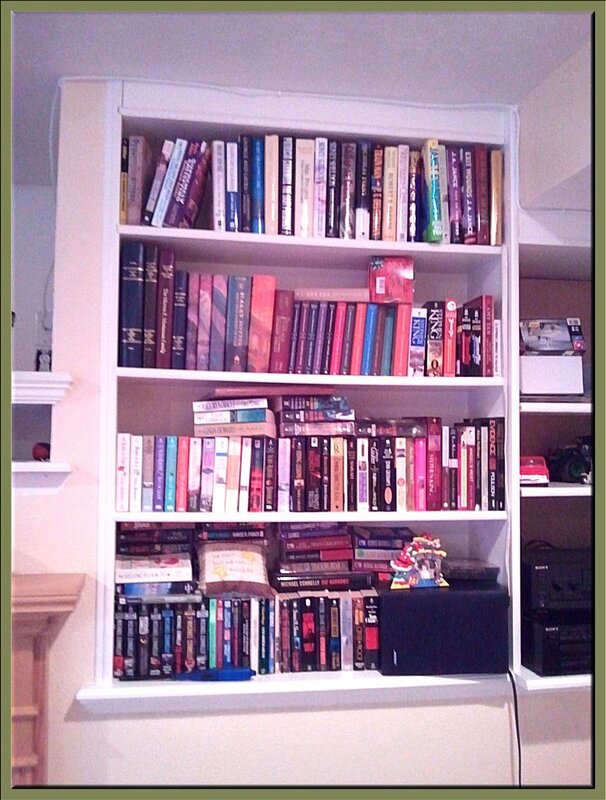 Those are the neatest and most well-arranged bookshelves; awesome! Thanks, but you can't see the other books hiding behind. They are a little messier. Welcome, I'm so happy to meet you! *waves* Hi Dalene! From where in the world do you blog? Hi Alex!! I'm from Utah, USA. It's a great state. Been a little on fire though this summer and that is literally.